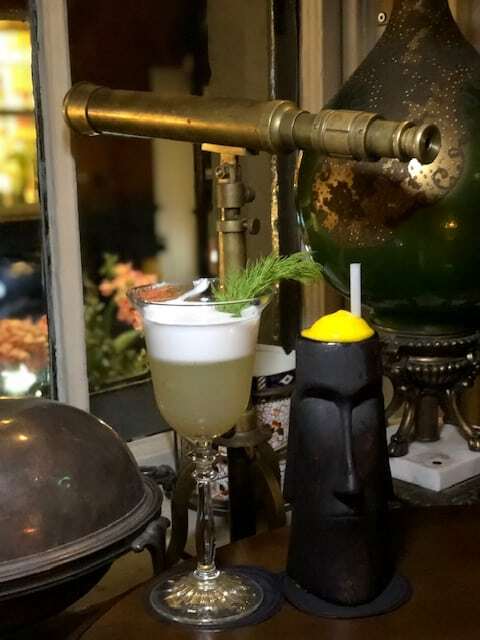 Mr Fogg’s now has six venues in London and no doubt will continue to expand its popular brand. 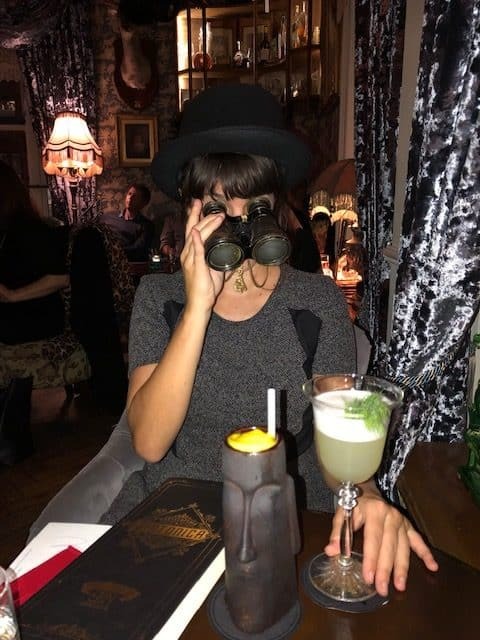 We visited Mr Fogg’s Bar in Covent Garden which offers over 150 gins from the typical favourites to rare and uniquely selected gins. 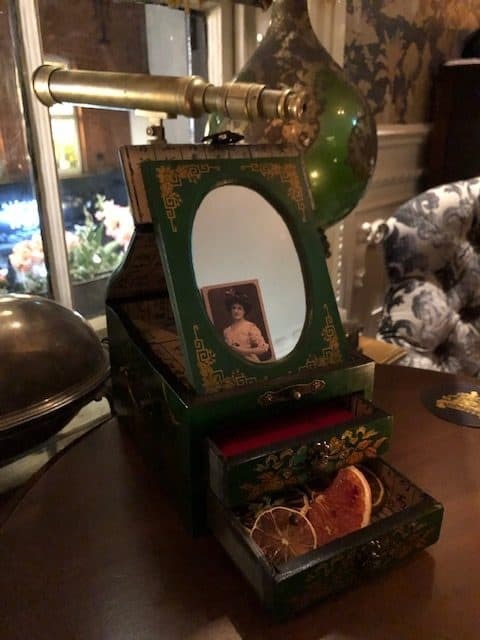 It is unsurprisingly home to the largest gin collections in the world including flavoured gins, citrus gins, spicy gins and floral and herbal gins! 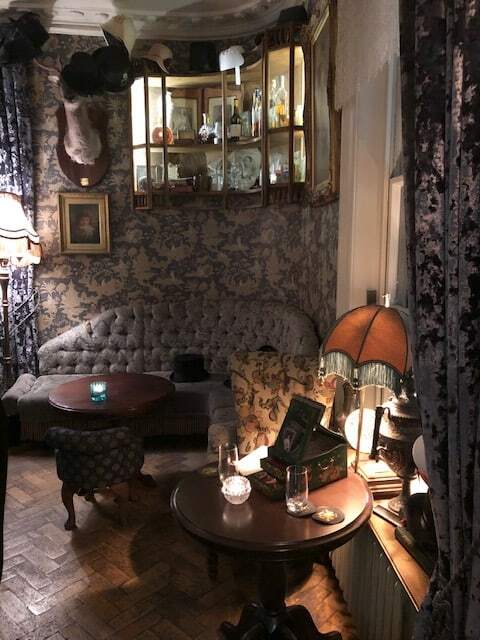 The parlour was once the home of Mr Fogg’s beloved Aunt Gertrude and features beautiful and traditionally upholstered furniture with many trinkets and paintings around the venue. 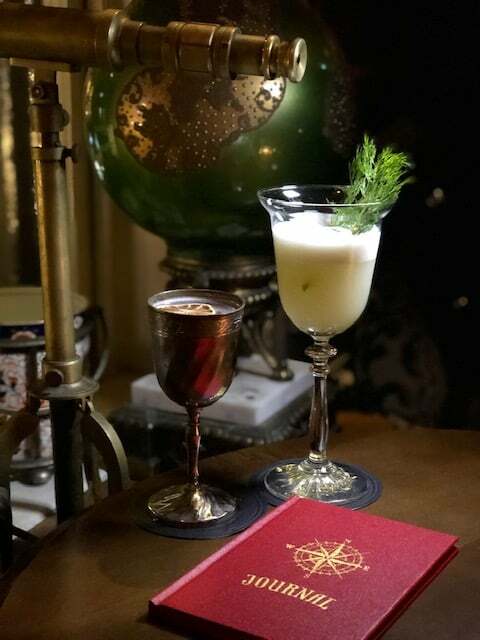 The cocktail menu is inspired by Mr Fogg’s trips around the world. We had a Pink Parisian Pantalettes served in a gorgeous goblet and served with Sipsmith VJOP gin, sloe gin, Campari aperitif, champagne, berry vinegar, tarragon and pink peppercorn syrup from the Paris section. It was floral and we loved the undertones of the peppercorn syrup. Accompanying this cocktail was the King Bobby’s Chalice with bobby’s gin, kings ginger liqueur, orange juice, lemon juice, honey water, topped with Whitstable blond lager. It was a pretty strong and dry gin. 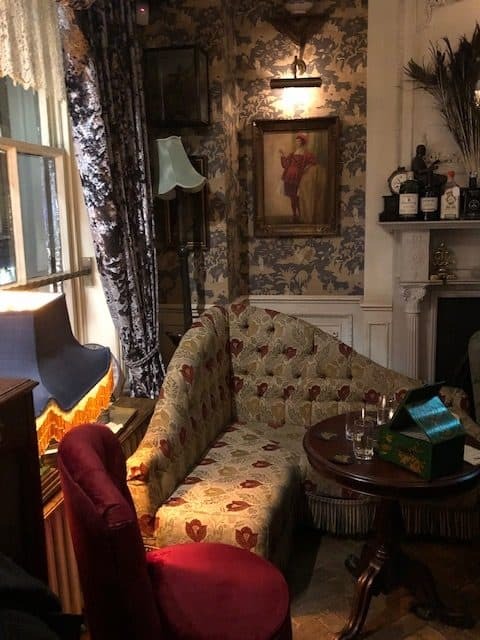 No surprises here that this is a great bar in Covent Garden. 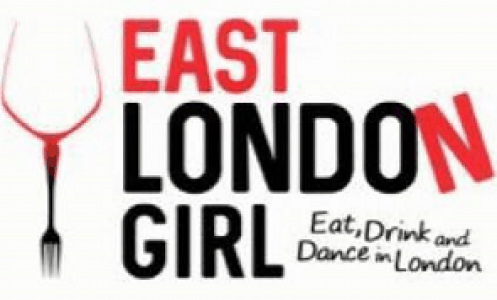 Definitely come here if you are a gin lover – so many to choose from in a quaint and gorgeous environment.